Scandinavian Activity Contest is increasing its popularity. When looking back say 10 years, we see an increase of three times more participants. Big activity is much funnier for all participants! So don’t hesitate, join the exciting SAC this year! 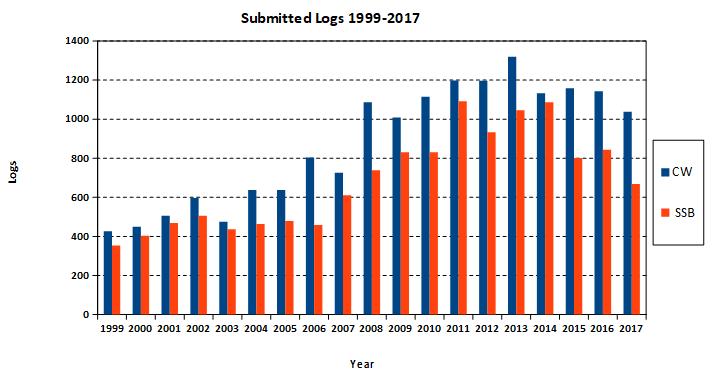 Figure shows total number of participants per year. 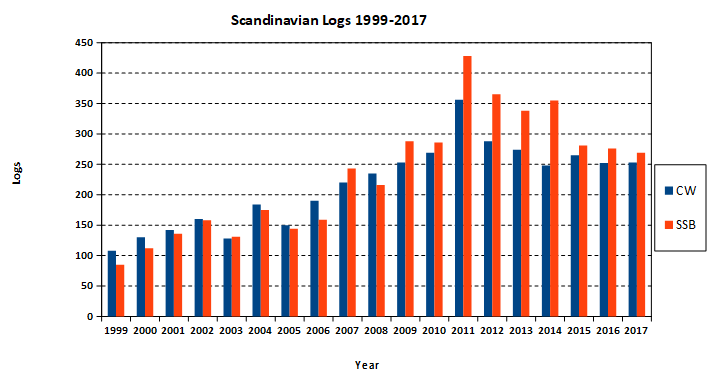 Figure shows number of participants per year from Scandinavia. 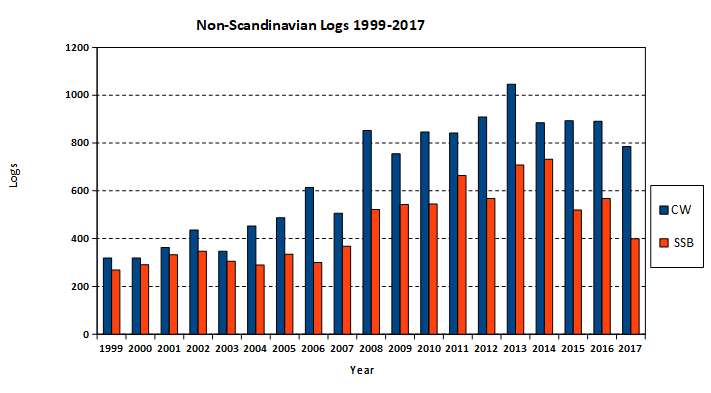 Figure shows number of participants per year from outside Scandinavia.